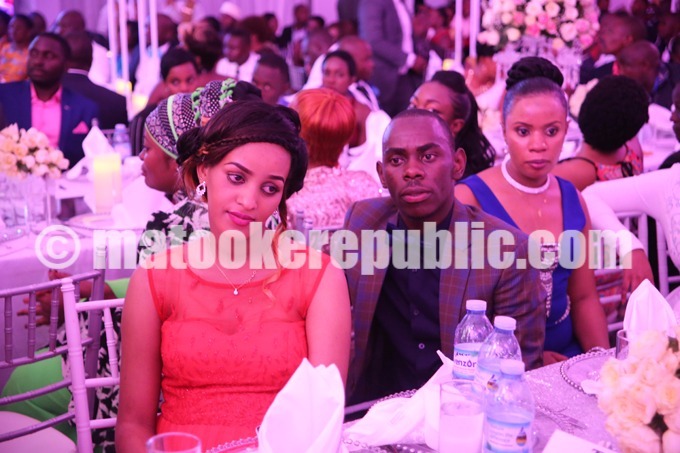 The newly weds, SK Mbuga and his wife Jalia at the high table. 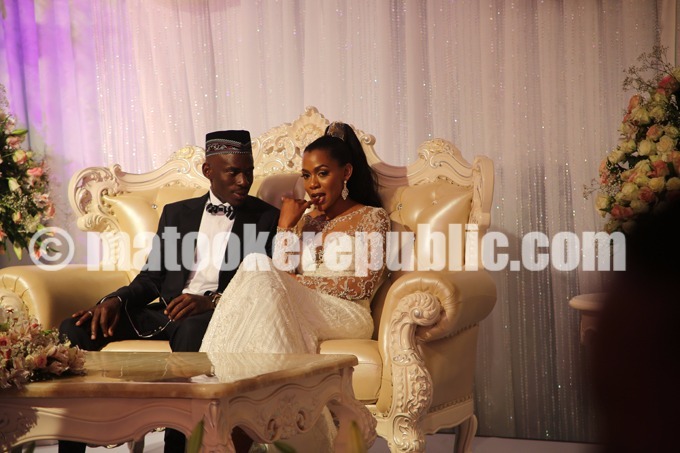 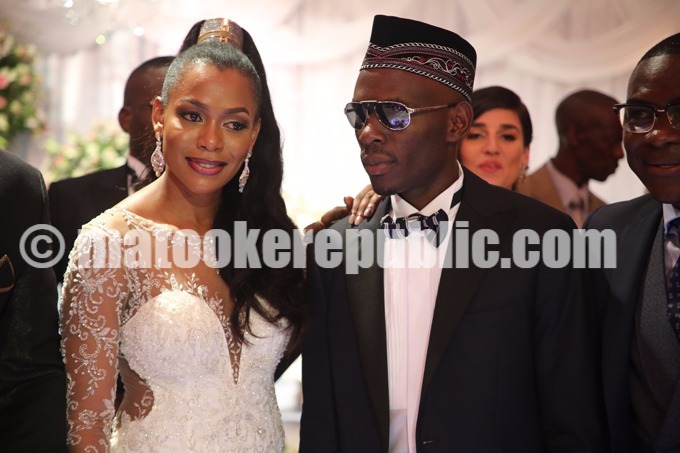 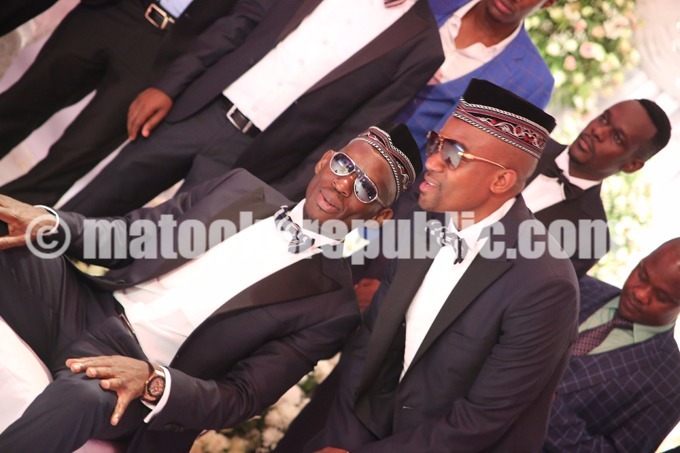 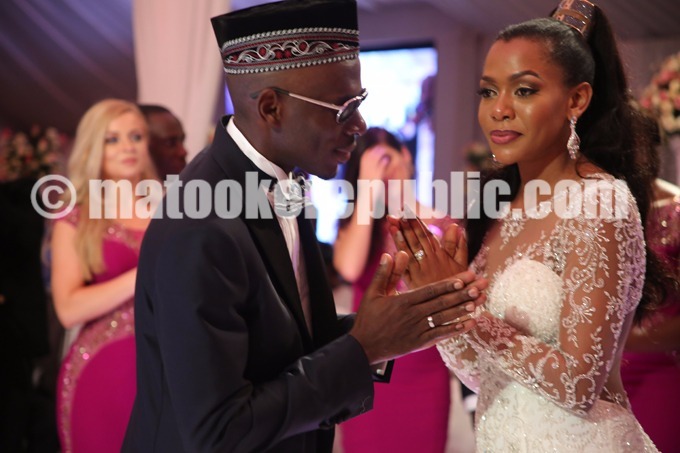 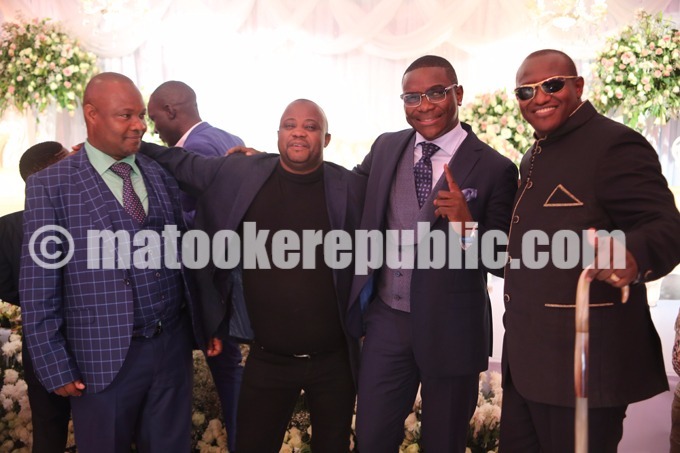 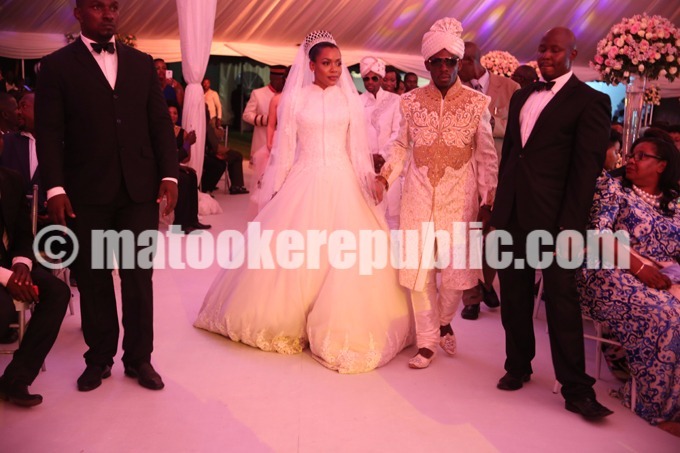 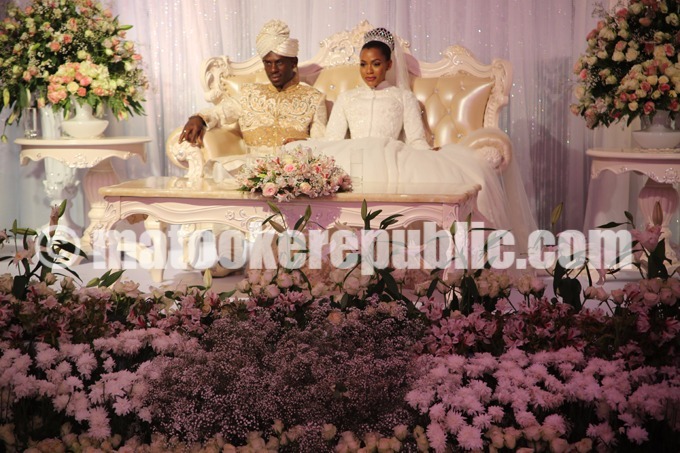 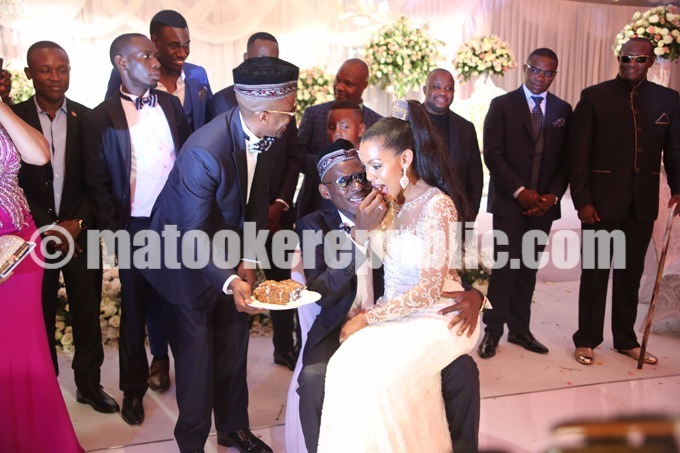 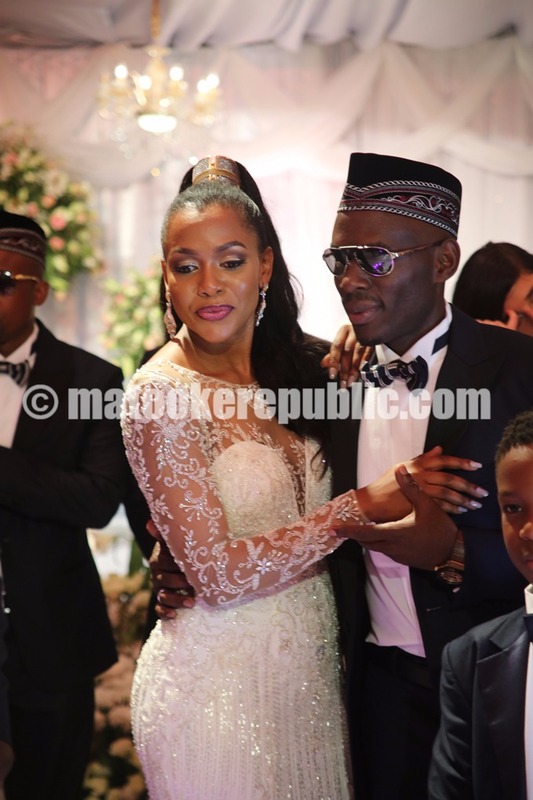 Tycoon SK Mbuga and his new wife Vivianne Birungi (now Jalia Mbuga) exchanged vows at Old Kampala and Kibuli mosques on Saturday and later hosted their guests to a lavish reception at the Kampala Serena Hotel. 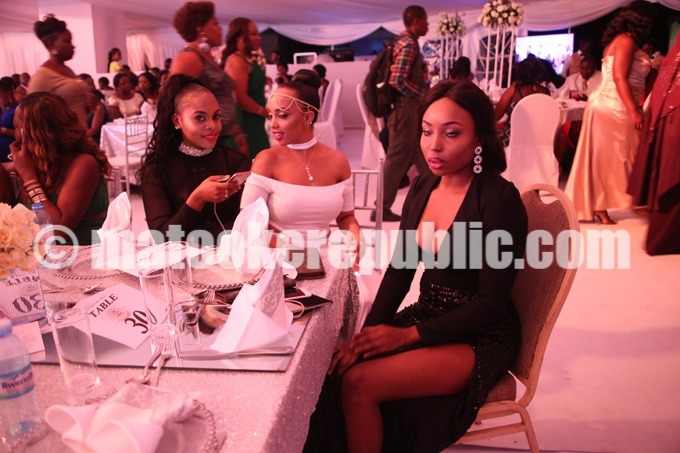 Our cameras captured the proceedings. 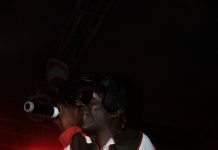 The event’s emcees Miles Rwamiti, Meddie Nsereko Ssebuliba, Patriko Mujuuka and Chameleone’s manager Robert Nkuhe Mutima. 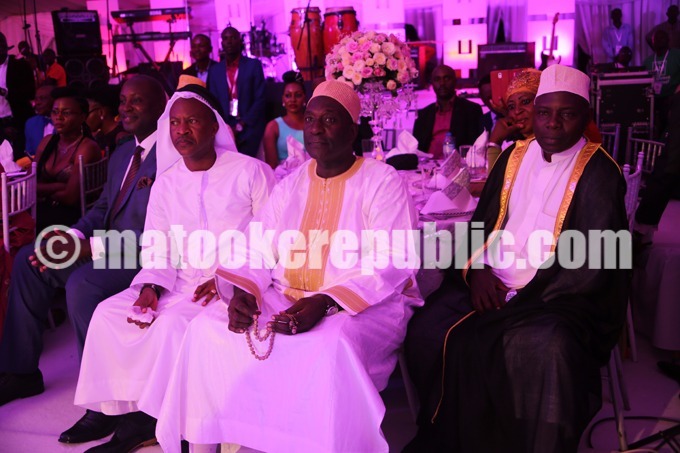 Frank Gashumba and Sheikh Muzata. 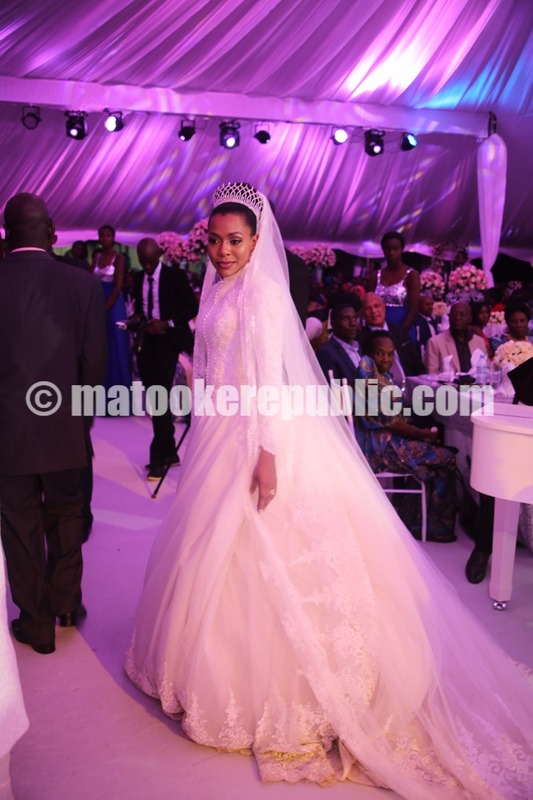 Jalia in her wedding gown. 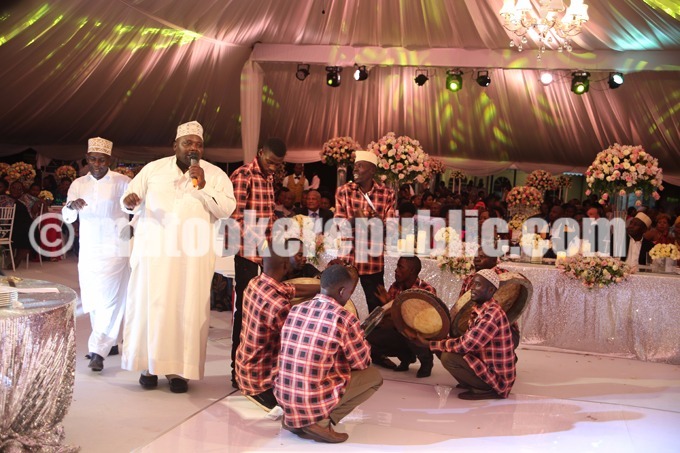 The Mbugas at their wedding reception. 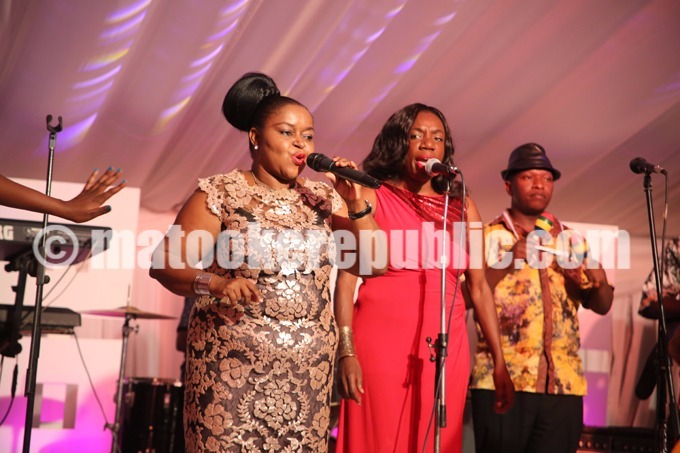 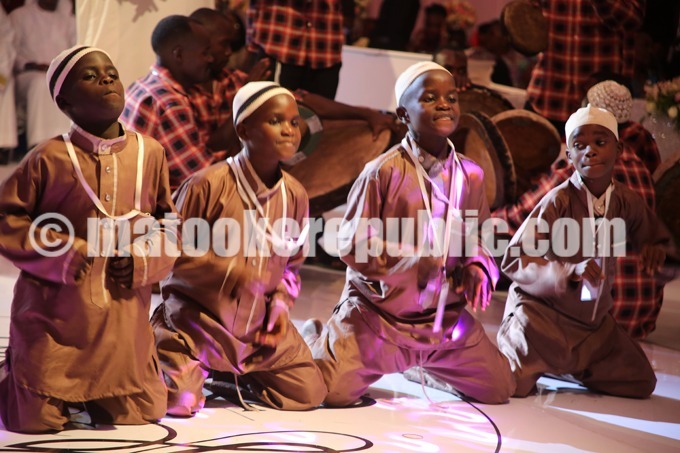 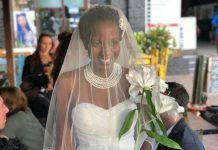 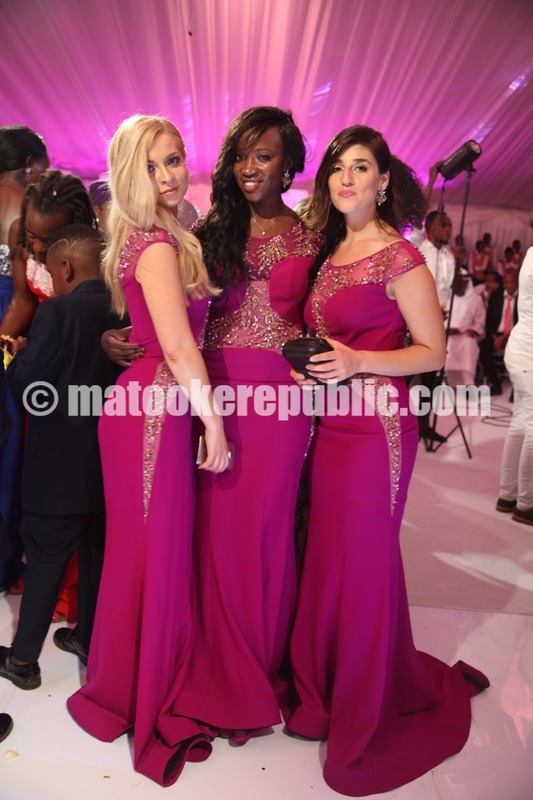 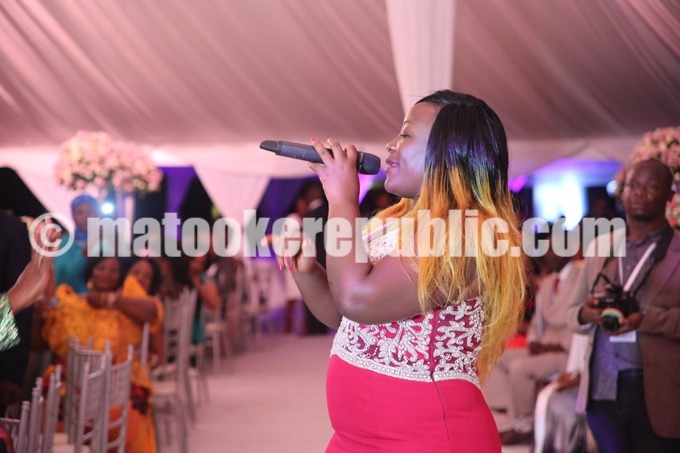 Afrigo Band’s Joanita Kawalya and Rachel Magoola perform at the wedding. 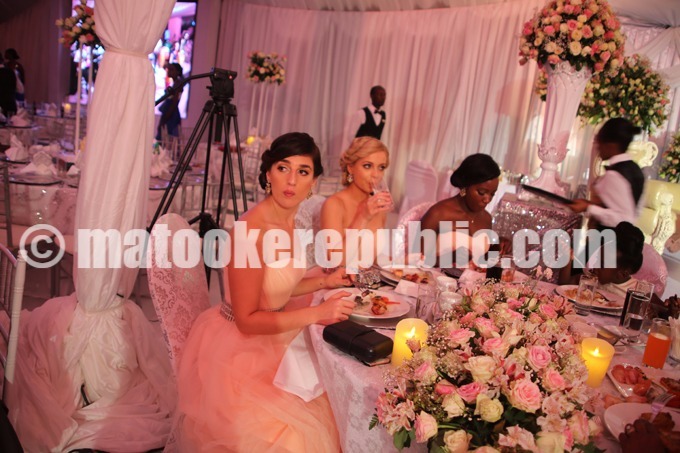 Jalia’s bridesmaids at having dinner. 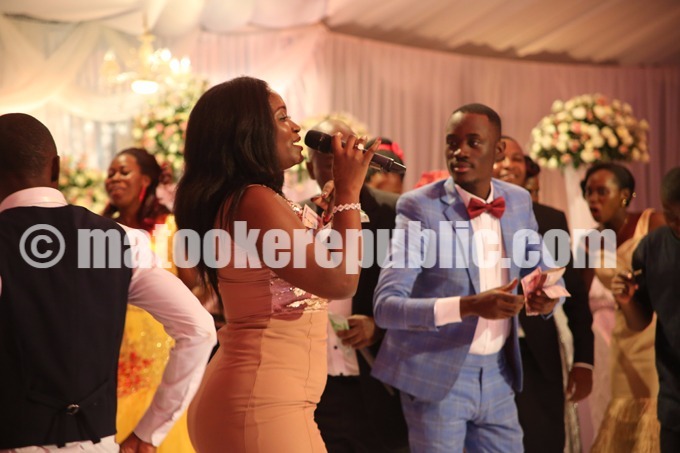 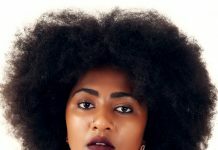 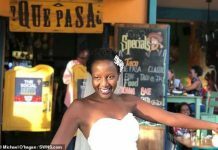 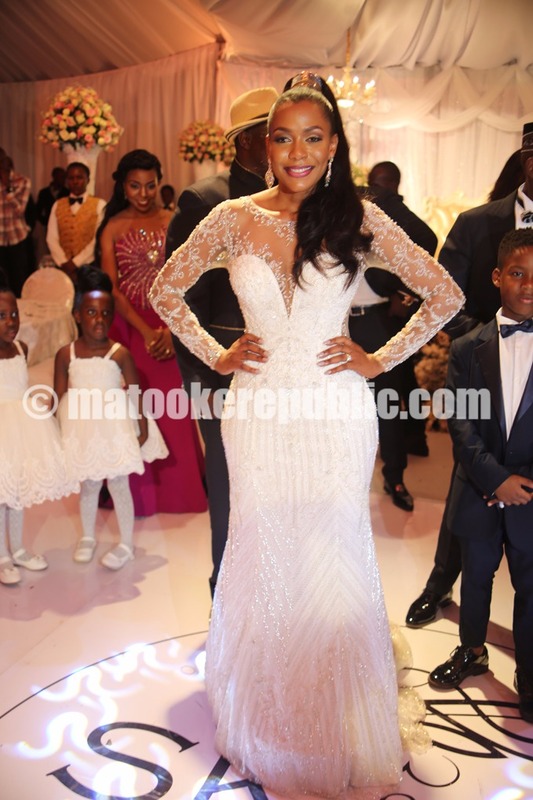 Winnie Nwagi performs at the wedding. 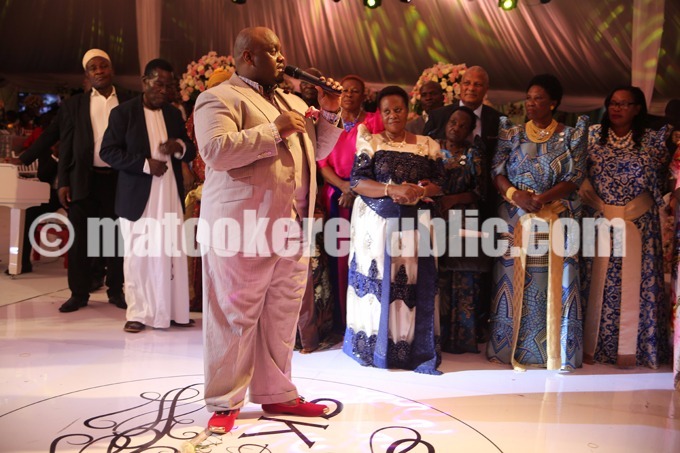 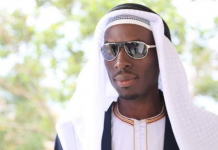 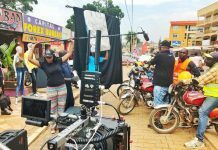 SK Mbuga’s young brother Meddie chops money as Nwagi sings. 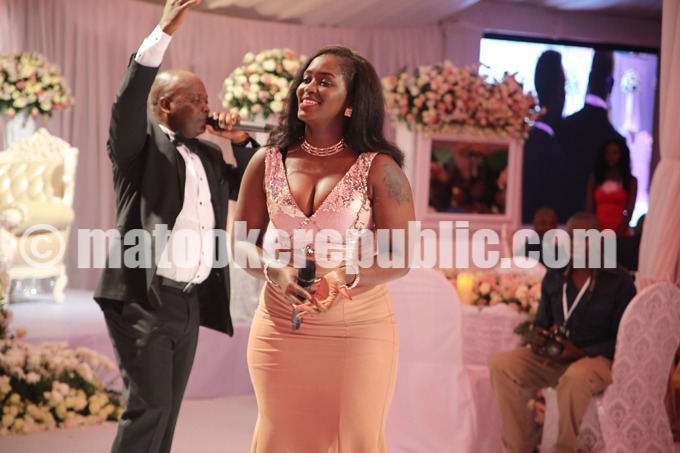 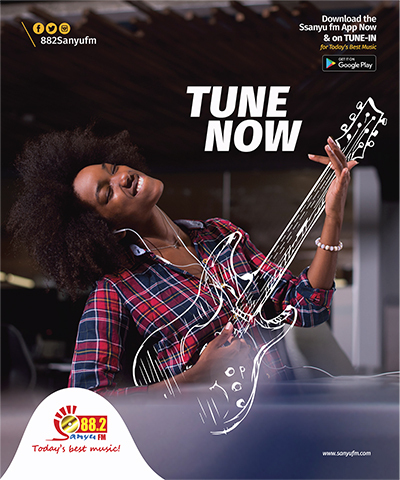 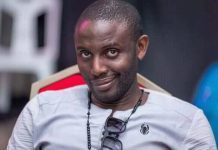 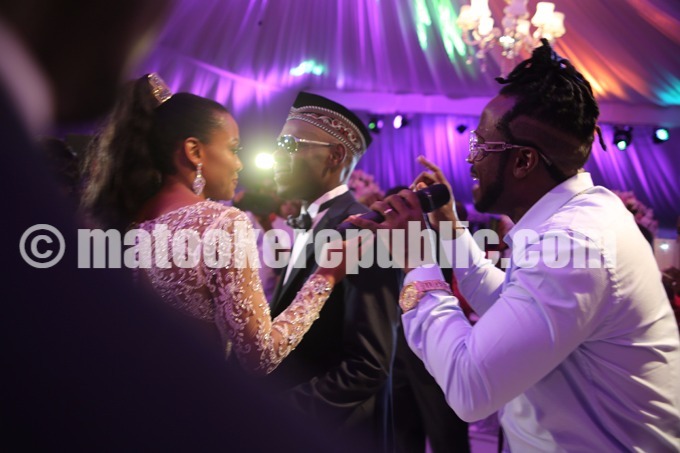 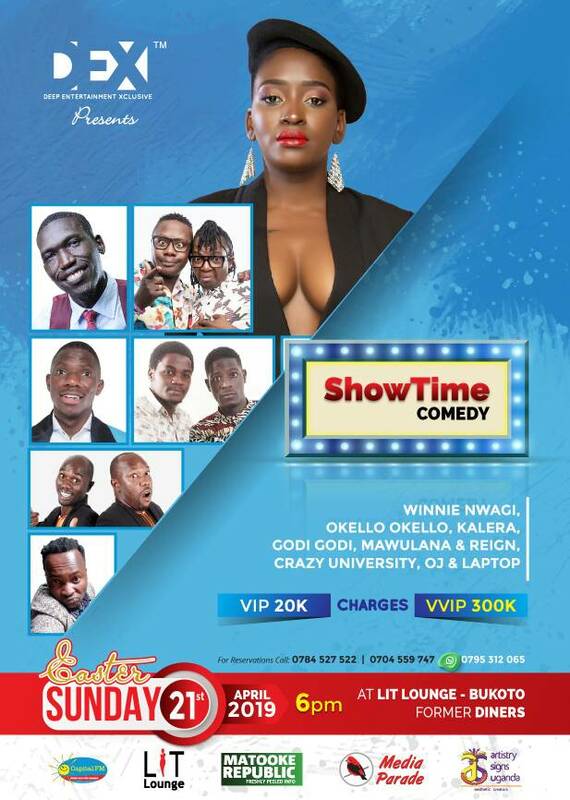 Bebe Cool peforms I will love you everyday for the newly wed couple. 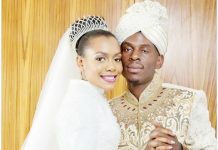 Mr and Mrs Mbuga at their wedding reception. 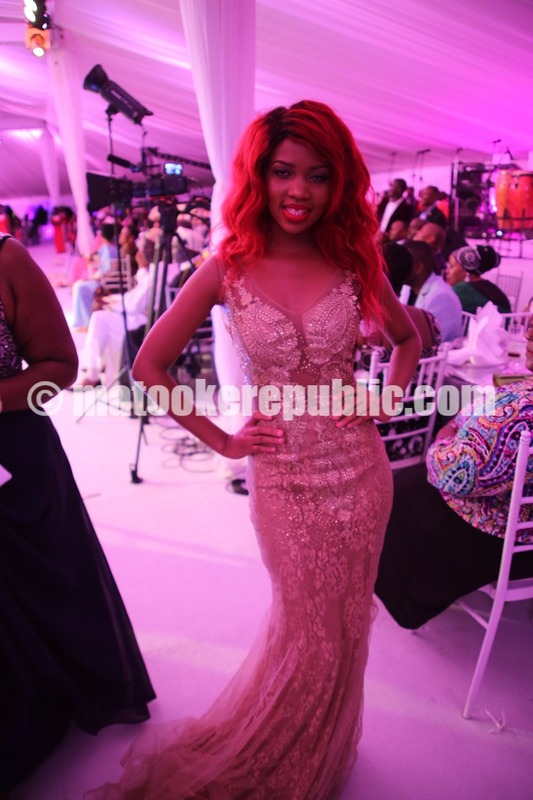 Vivianne in her changing dress. 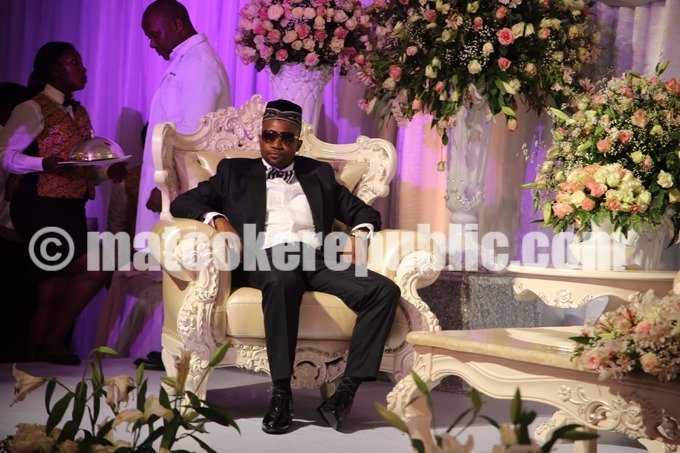 The couple at the high table. 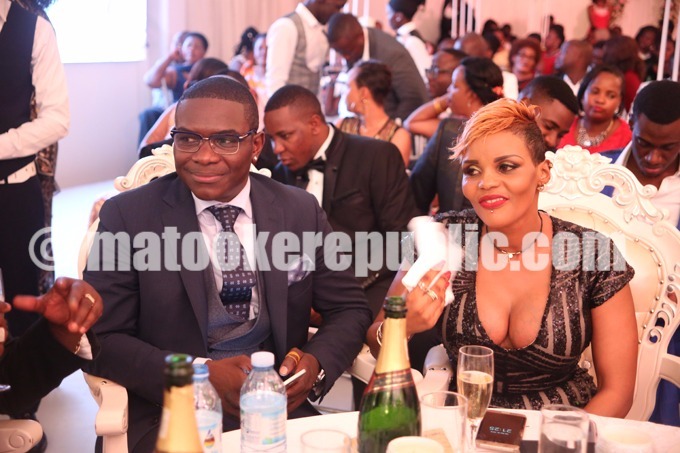 Jack Pemba and a friend. 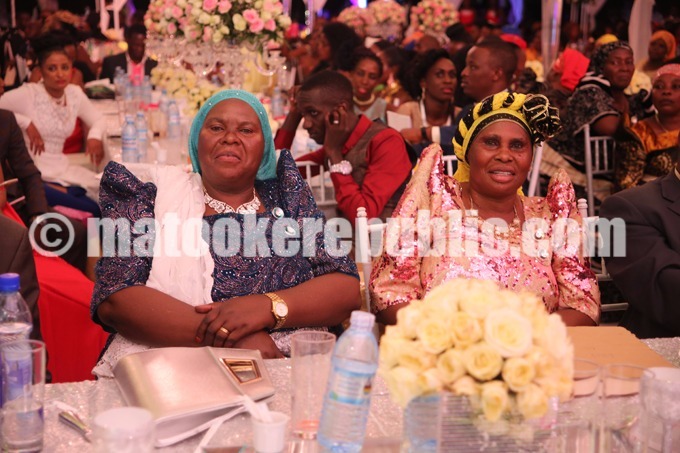 Mbuga’s mothers were proud of their son. 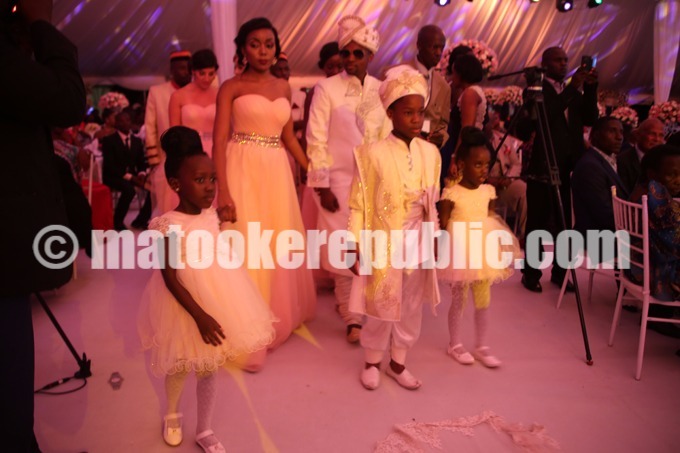 Kids entertain the newly weds. 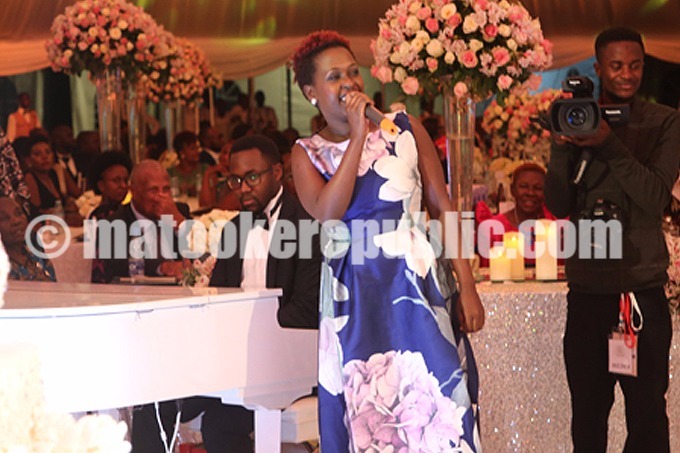 Irene Namatovu performs Okuzala Kujagana. 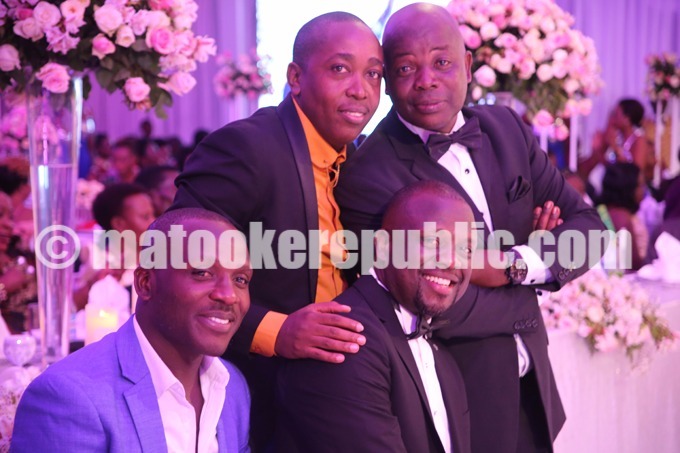 Pastor Mondo Mugisha spoke on behalf of Vivianne’s relatives. 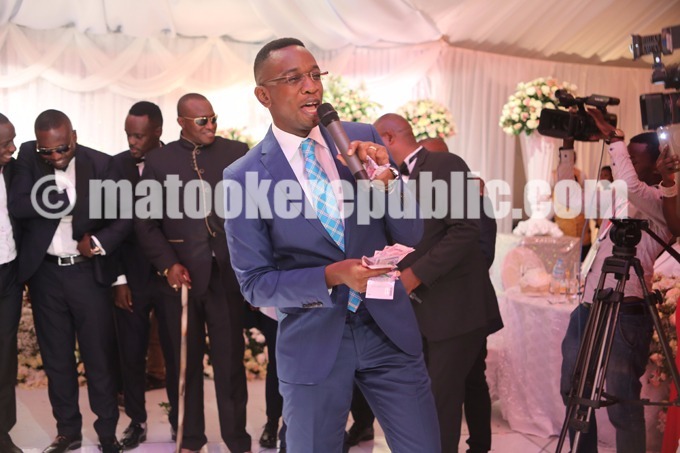 Silver Kyagulanyi sings at the ceremony. 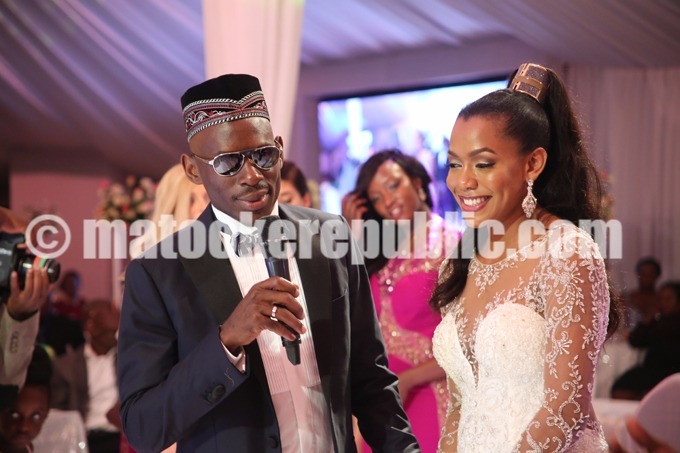 Mbuga’s speech amused the bride. 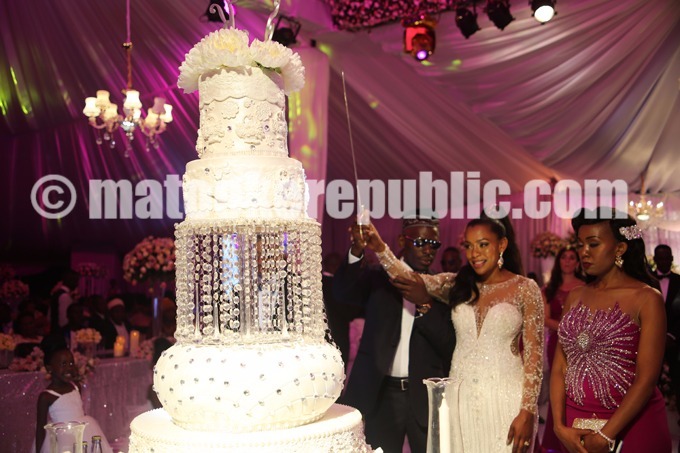 The couple cuts the wedding cake. 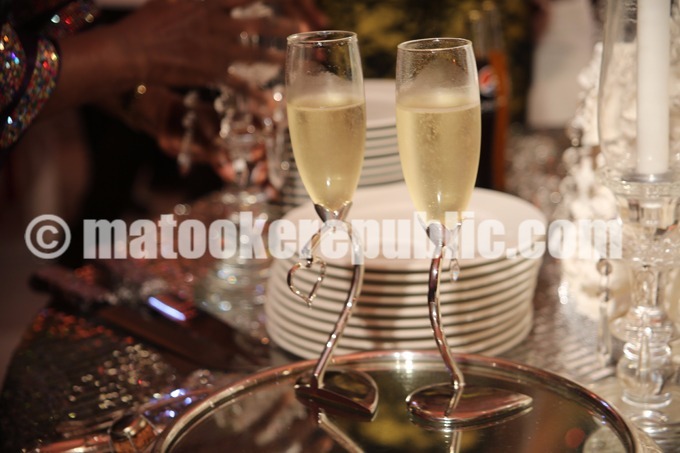 The champagne that washed down the newly weds’ cake. 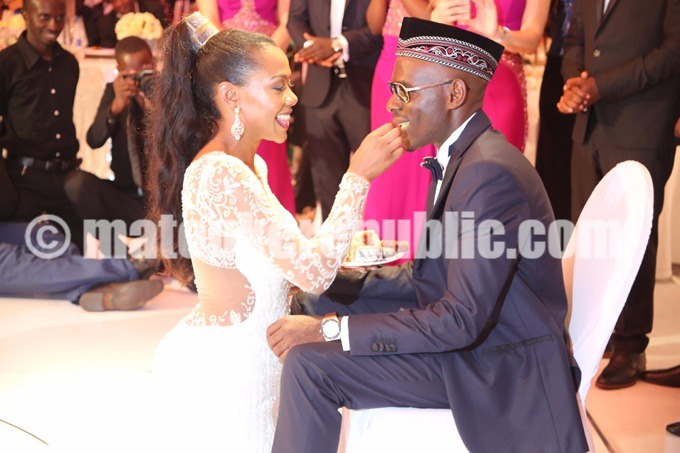 Mbuga’s turn to feed his wife some cake. 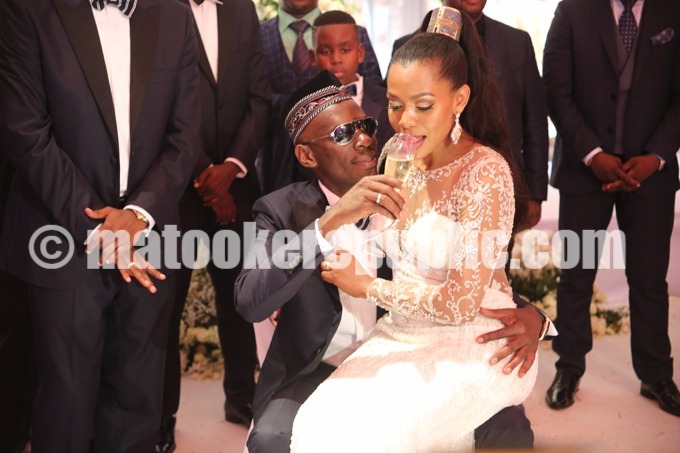 Washing down the cake with some champagne. 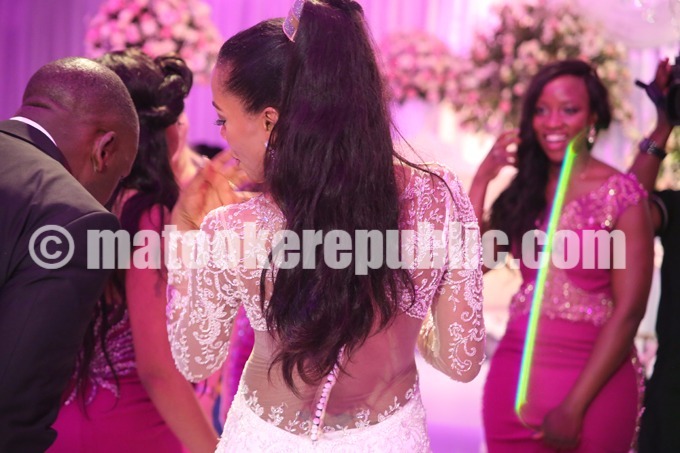 The backview of Jalia’s gown.